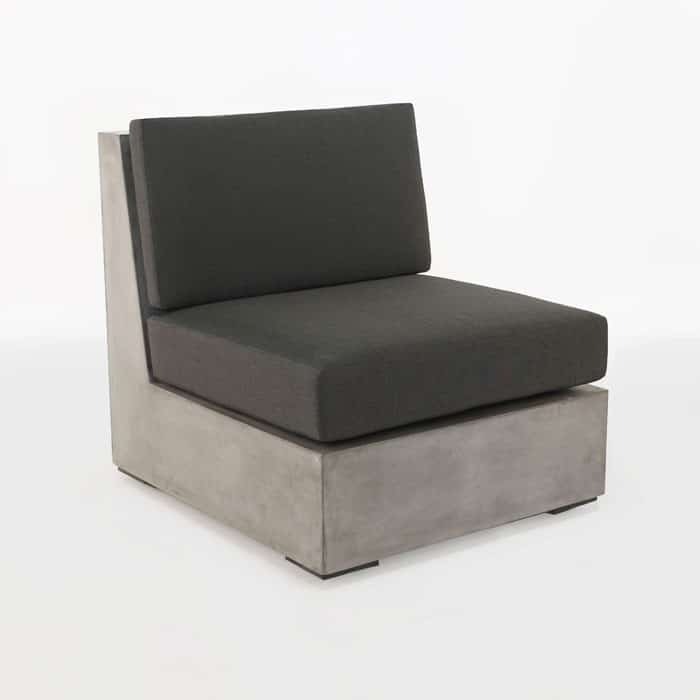 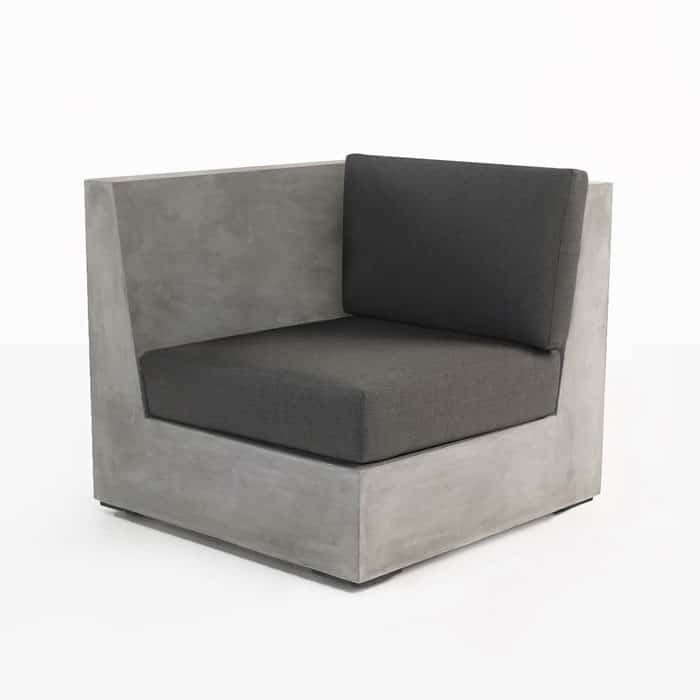 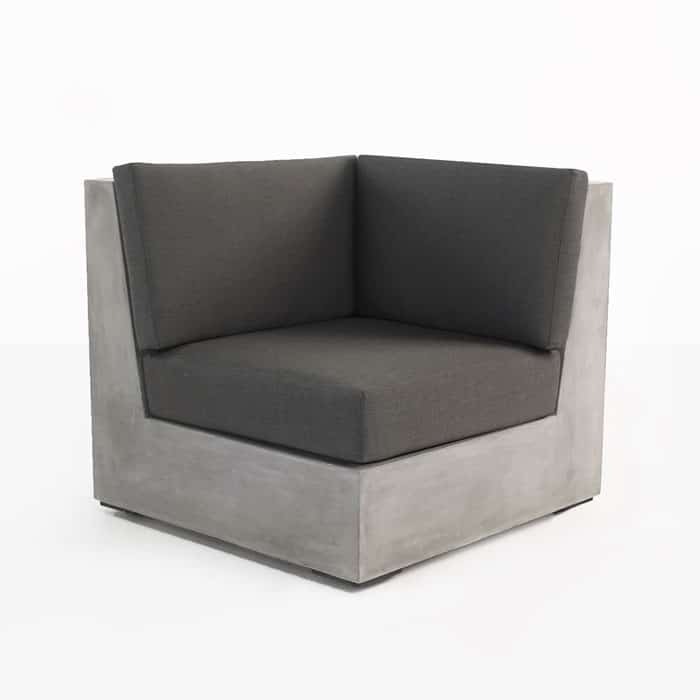 This center chair is both an integral part to the modular sectional collection we call the Box Concrete Seating Collection, and it functions as a gorgeous armless chair with a distinct modern look. 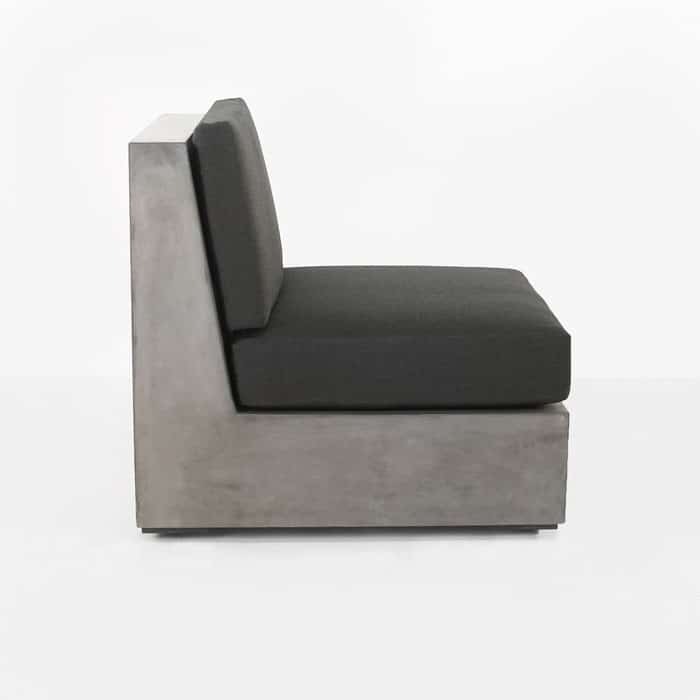 On it own this center chair is a stunning example of nature meeting modern design. 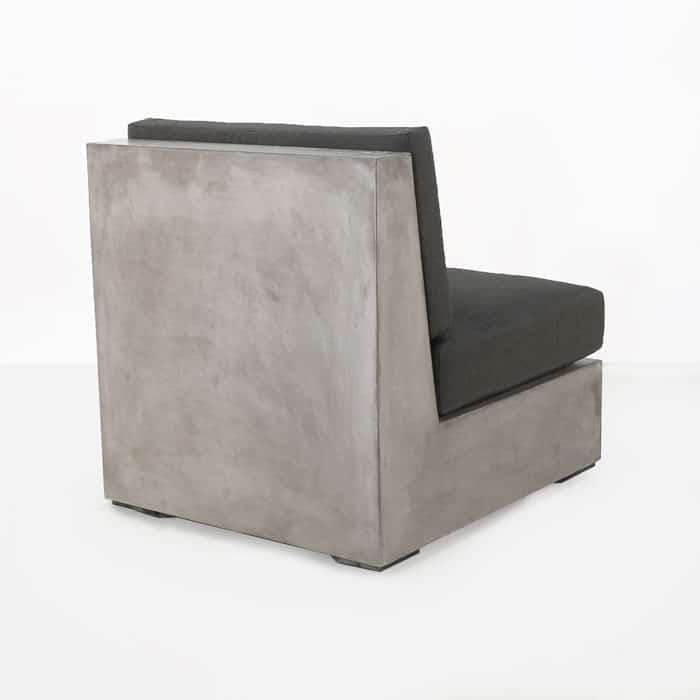 The clean raw look of the concrete and the bold monolithic design makes the relative lightweight of this piece surprising. 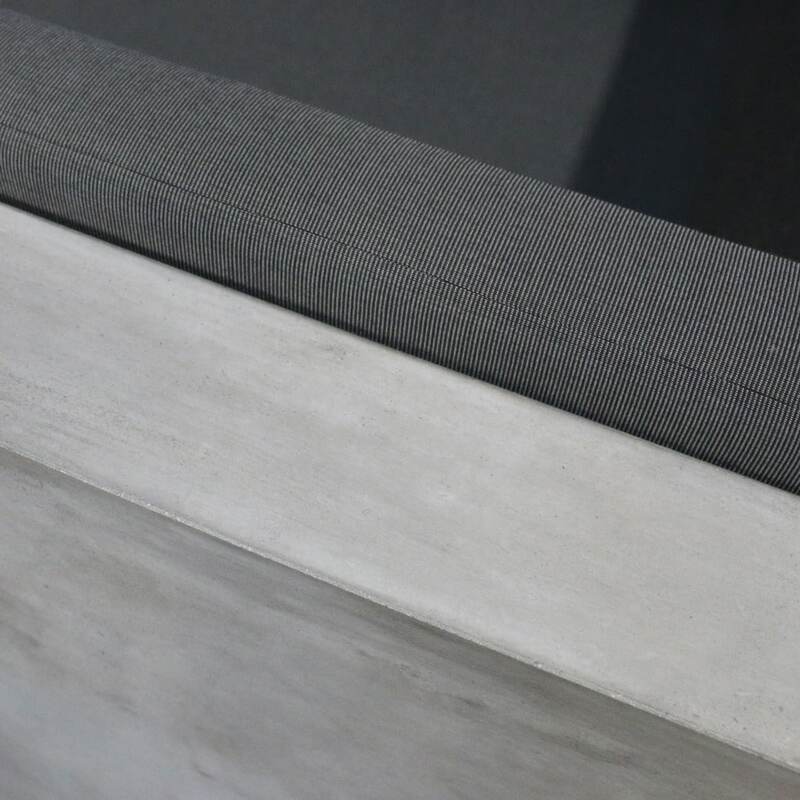 The concrete is a lightweight reinforced concrete build that utilizes a modern style to give your space a new, innovative look and a comfortable seating surface. 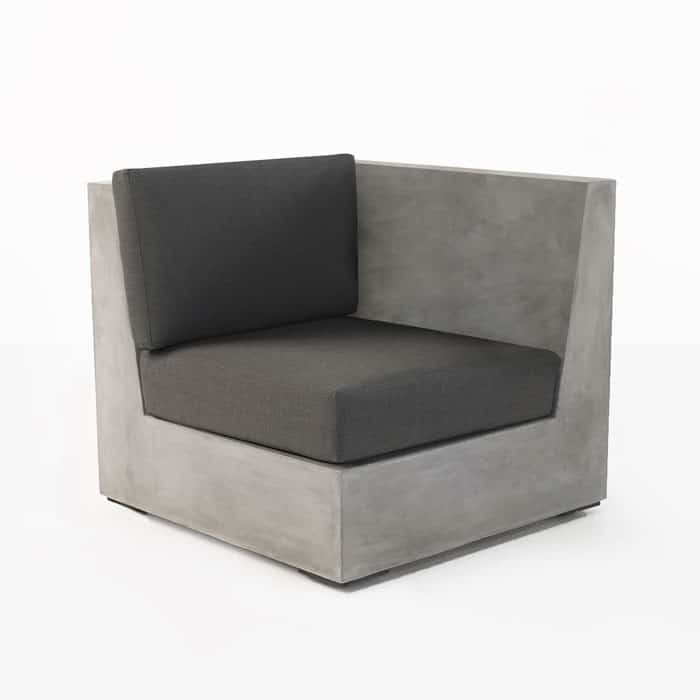 Paired with other pieces from the Box Concrete Seating Collection, this piece can be used to form a long, linear sectional or an extended L-Shaped Sectional perfect for so many outdoor spaces. This piece includes a cushion for the seat and the back.